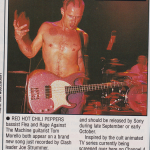 * Red Hot Chili Peppers bassist Flea is in mourning this week after having his trousers stolen from the band’s dressing room in Milan. 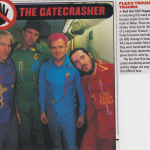 These weren’t just any old strides, mind, but his ‘felapants’ — one half of a turquoise ‘felasuit’, which all of the funky foursome had taken to wearing (see pic lest) onstage in honour of late Nigerian Afro-beat noodler Fela Kuti . 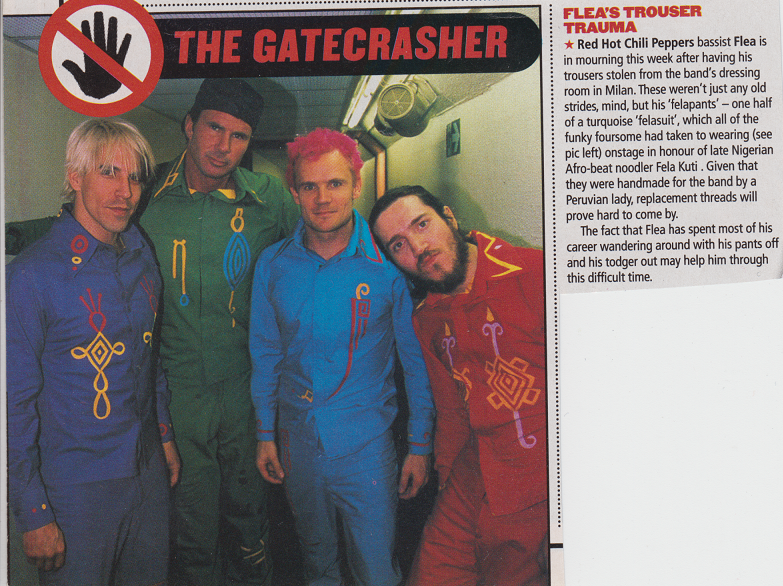 Given that they were handmade for the band by a Peruvian lady, replacement threads will prove hard to come by. 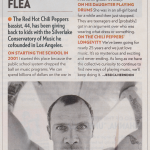 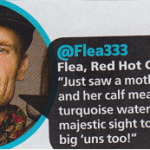 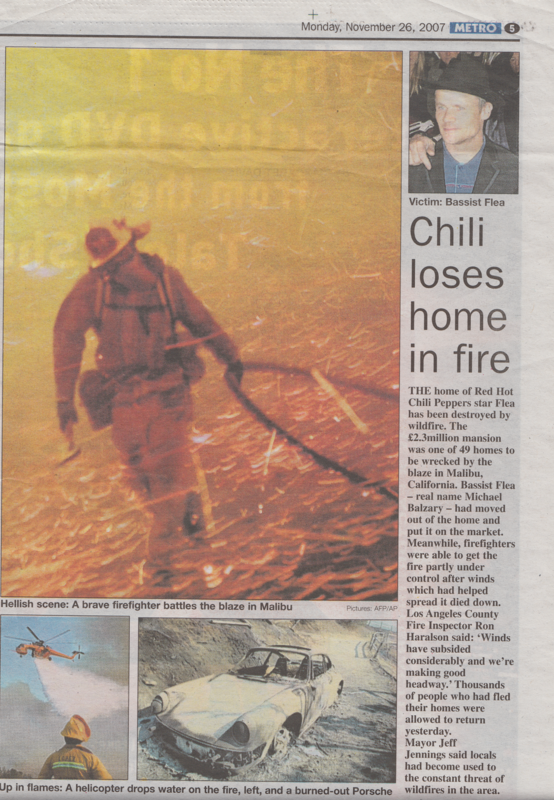 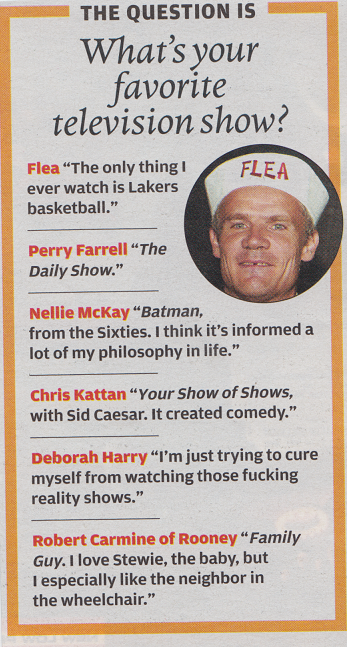 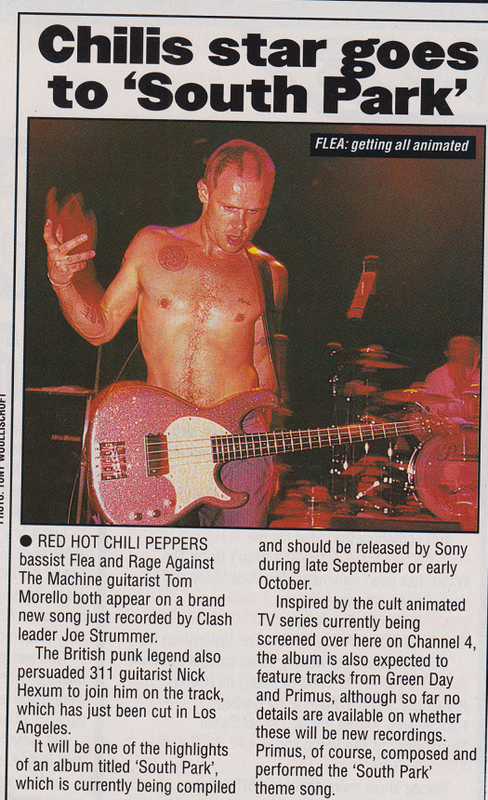 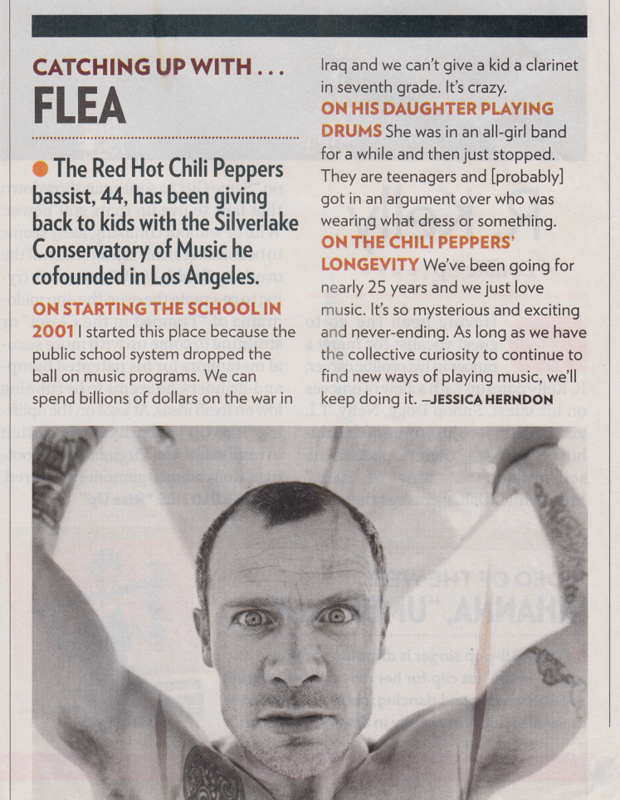 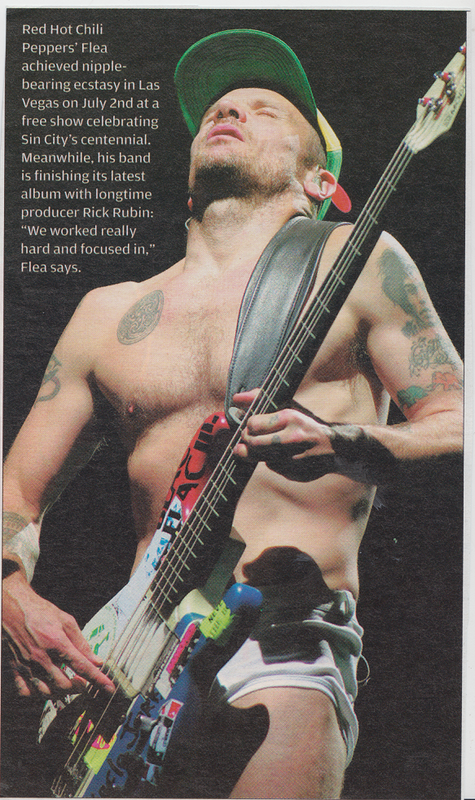 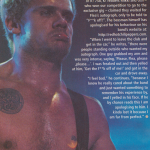 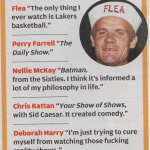 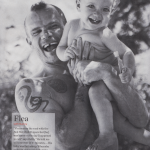 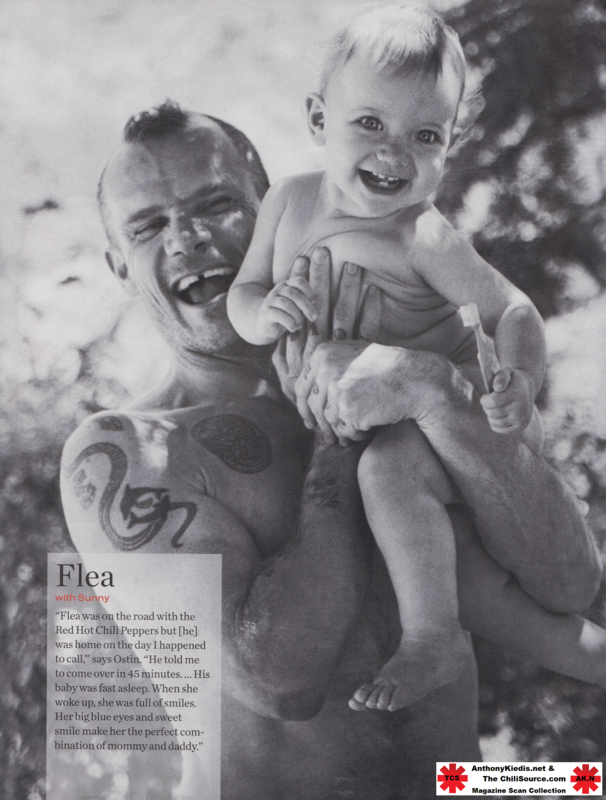 The fact that Flea has spent most of his career wandering around with his pants off and his todger out may help him through this difficult time.